Looking for a great dress to wear to a wedding? We’ve selected some great wedding guest dresses, and organized them by time of day, dress code, and formality. To help, these pieces are compiled when we look for wedding guest dresses from our posts and curated collections. Our blog editor has handpicked each dress, and sorted these styles by type of wedding and dress code. Also see our picks for wedding guest jewelry! If you have questions about what to wear to a wedding, check out our posts by every type of wedding dress code as well as our post on wedding attire guidelines. Finding a dress to wear to a wedding shouldn’t be stressful! 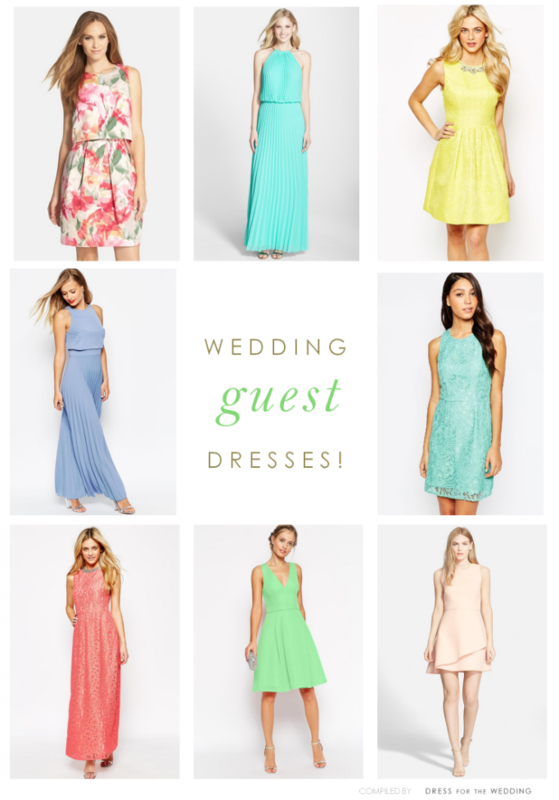 When in doubt, Revolve and Nordstrom, have great picks, or Rent a Wedding Guest Dress from Rent the Runway!